Directed by Marc Foster and staring Brad Pitt, Mireille Enos and Daniella Kertesz. One many travels around the world to try and stop a zombie apocalypse from destroying the planet. 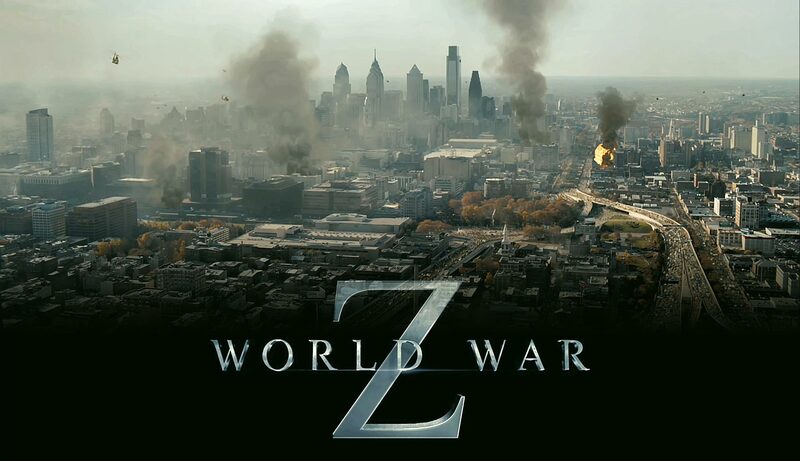 Whether this film is based off the famous Max Brooks book World War Z is your own opinion, having read the book and been amazed by how unique it is as a read I was growing more and more concerned as each new trailer and photo appeared for promotion. About a month before the films release, Max Brooks conceded that this film was in fact nothing to do with the book but was it’s own imagined idea. This was sad news indeed for fans of the book looking forward to seeing this unique approach to a zombie pandemic. When I begin to watch the film I started with ill feelings towards this film which had essentially led me to believe it had stolen the title and origin idea from one of my favourite books. I was remarkably surprised though. Despite it’s denial in it’s involvement to World War Z, there are in fact several references in the book particularly to how the book starts with the first sightings of the infection. The plot is not simply Brad Pitt running from one survivor site to the next, it is in fact a more complex story then that which was nicely made. There are moments when clear CGI is used and in one scene, the apartment block escape, there are a few sighting of zombies falling and being followed by the camera which were not needed. The ending, though I will not spoil it for you, was a disappointment and very much unimaginative which is a shame considering this film was actually incredibly good and well thought through. Normally I don’t talk about sequels based on a part 1 which this is, however due to the money this film made worldwide they are considering making a sequel. This I don’t feel is needed, World War Z is a stand alone film which just because money was made is not a pass to the world of sequels. OVERALL *** It’s good and managed to sway me to it’s side despite how it did or did not handle the book depending on how you view it. However the two scenes I mentioned stopped it from reaching a 4 star rated film, they were that tedious and tenuous. Recommendation – Which ever order you read it in, book or film, the book will always be better but the film is fun to watch.